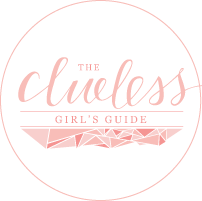 Can we send you both an item/ask you to review a venue to incorporate into your blog features? Yes indeed- Our posts are very holistic, and all components of features are linked and listed accordingly. Please submit ideas of what you wish to send/where you wish us to attend, to approve, as we only review things we feel are the perfect fit for our readers and our brand. All reviews are written in a fair and un-biased way. Sending us an item however, does not guarantee a blog feature. We are unable to return any products once they have been sent. Your ad will run for 30-days, only a single prime ad available at a time. It will always be at the top-right of the blog, and thus is the first to get noticed. No GIF’s, static ads only please. Please contact to discuss next available booking. Your ad will run for 30-days, up to x25 ad-spaces available at a time. They will always be directly under the XL-ad to right of the blog, and thus is the first to get noticed. No GIF’s, static ads only please. Your ad will run for 30-days, up to x25 ad-spaces available at a time. They will always be featured under the L-ad’s to right of the blog, and are displayed side by side. No GIF’s, static ads only please. Buy up to x3 consecutive months for a discount (90xdays ad space). Need help designing an advert? Our team can design a blog-button for you which you can use on your site too. Ad design is free with the purchase of ad space, and we’d be delighted to work with you to make your ad more appealing to our readers. If we do not feel the product or service you offer is suitable for Whim Biscuit, we reserve the right to decline your request for advertising. Thank you. SPONSORED POSTS & BRAND COLLABORATIONS. We work in association with brands we feel resonate with the feel of Whim Biscuit, these features are chargeable, and will be written by the team. Please contact to discuss rates. Now booking for brands that reflect the kind of features we note here at Whim Biscuit. There is a minimum product value of £50, and competitions will run for a full week. After a winner has been chosen you will be responsible to posting the item. 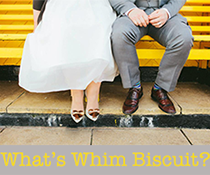 Is the Whim Biscuit team available for copywriting, column/guest feature/article writing, guest editing etc? We'd love to connect, collaborate, and innovate with you- it would be really great to discuss this with you. It will be most lovely to hear from you. Disclosure: Whim Biscuit is a for-profit blog and can accept payment for advertising, collaborative working, and affiliate/commissioned links. We also review gifted items and venues via press-visits (These are clearly noted, or labeled as such- presume all reviews prior to 2014 are reviewed from press-samples). However, regardless of compensation, we only promote things in a fair and un-biased way with our own opinions. Indeed, the views and opinions expressed on this website are purely those of the author(s). Any product claim, statistic, quote or other representation about a product or service should be verified with the manufacturer, provider or party in question. Ad space is non-refundable. We reserve the right to terminate any sponsorship at any time without refund due to unethical business practices or conflicts of interest.